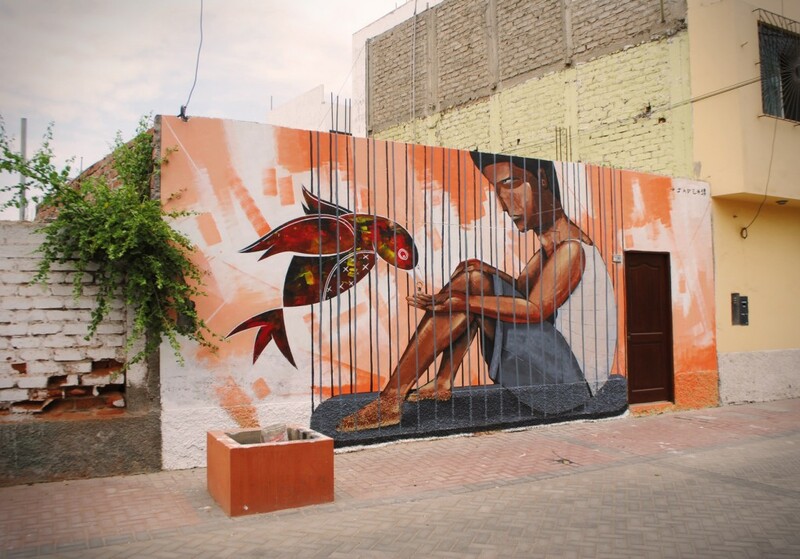 The world of street art has changed dramatically in the past decade, so much so that there is a rigid culture of how to do street art, where to do it, and how it is organized. 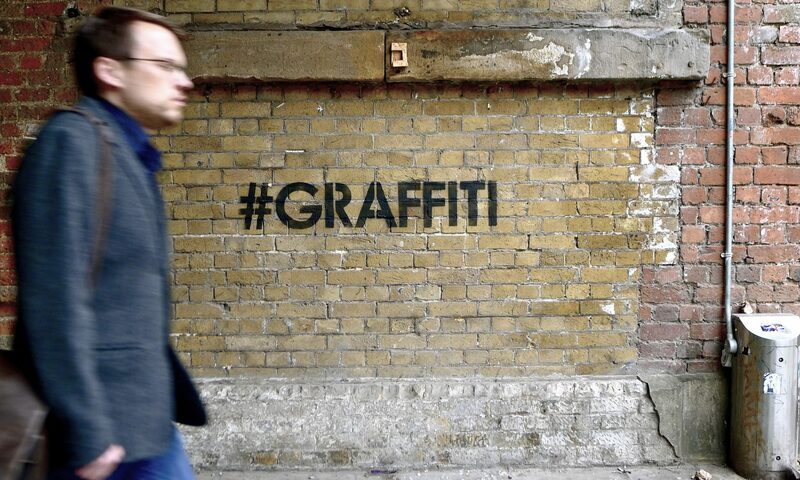 Some tradition remains of clandestine artistry and evasive messages found plastered in urban centers all throughout the world, but we have culminated a new practice of presenting street art in a more organized, institutionalized form: the street art festival. That is until I spoke with Entes &Pesimo last year when they began planning Latir Latino. It appeared difficult to me mainly because some of the decisions that we took when organizing the conference, could not happen in places like Lima. Decisions like rejecting corporate sponsorships or work with big brands to aid our mission are some that are limiting when working in different societies with more restricting economic options. So okay, means are tougher to come by, donations (and its culture) are hard to make when people have barely anything to get by and disposable income does not exist… These were the tactics I was familiar with and none of those worked for Entes & Pesimo, but they successfully launched Latir Latino, along with a documentary. Entes & Pesimo. Click to view large. I want to share with you the first installment of this series that will show the happenings in South America, while also introducing new contexts from where these festivals are held. 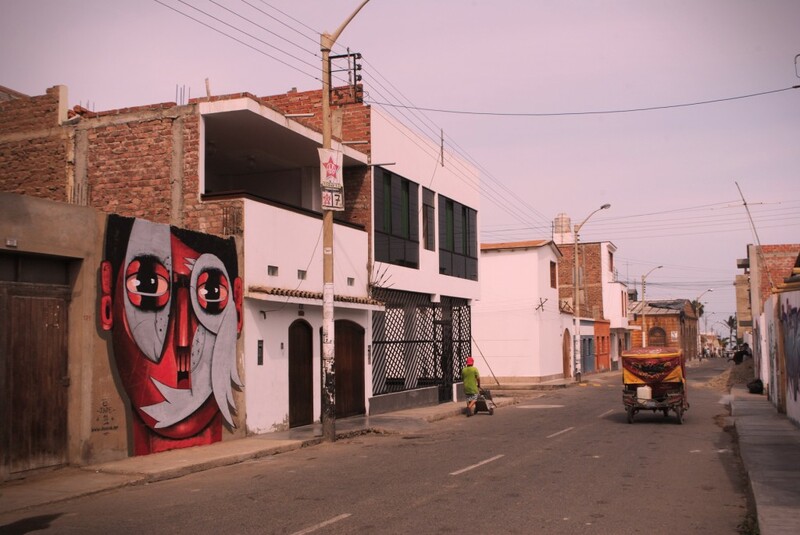 This will be a space to discuss and watch all the creativity and formation of a new influence in street art: Latin America. 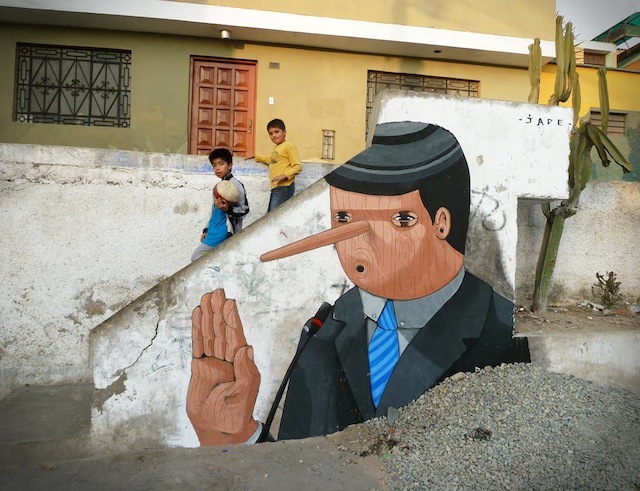 This piece by Jade in the Chorrillos District of Lima, Peru is probably a bit more cutesy than the street work I’m normally interested in, but the placement is great. Most murals of this size look they they are slapped onto a wall, but the different surfaces (wood and brick) are interesting, and the way that the wall is falling apart a bit at the bottom makes it look like perhaps the mural has been part of the wall for quite some time, even though obviously Jade just painted around the parts that are crumbling. This isn’t an obvious spot to put a mural because of those abnormalities, but the piece is stronger because of the decision to those this spot rather than a crisp clean wall. Jade is known for, for lack of a better term, mural-sized murals. With this piece though, he’s gone a different route an is instead practicing good placement, sizing his mural as was appropriate to point out a feature in the wall. 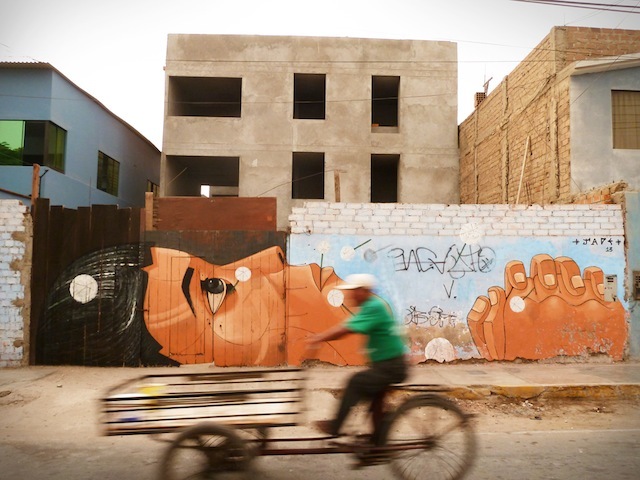 Another great wall from Jade in Peru, this time in the city of Huaraz. Sounds like Supreme will be doing a Basquiat line soon. 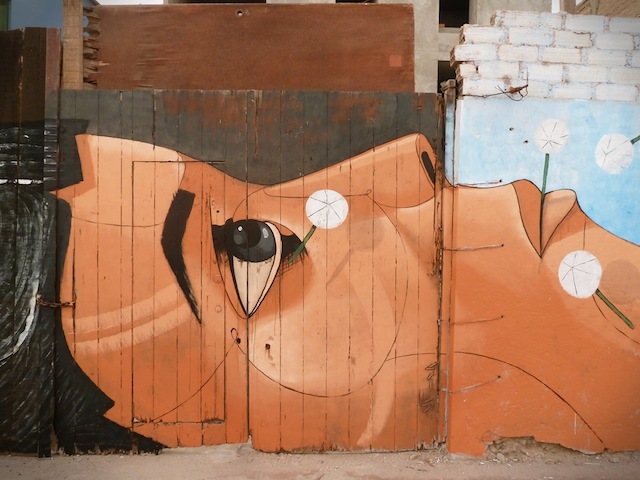 There’s a Kickstarter project worth checking out with the goal of making a film about street art in Chile. Daryll Peirce has done his first print with 1xRun. MOMO has a book out with Studiocromie. I love this new wall from Jade. A great piece of (I think) contemporary train graffiti. 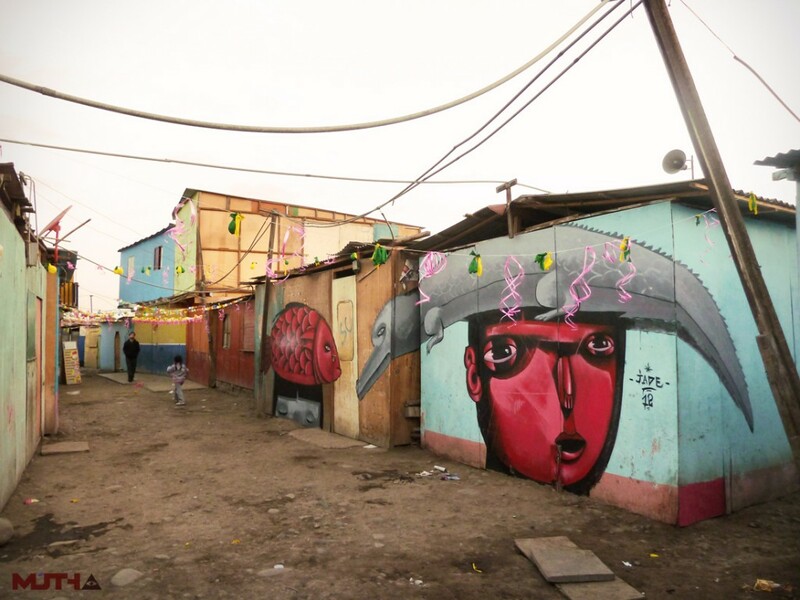 Egyptian photographers and street artists have put together an expansive book of revolutionary graffiti and street art. Read about it here, and read it online here. Ron English, Bigfoot and others have work in this upcoming charity auction in New York for the St. Jude Children’s Hospital. 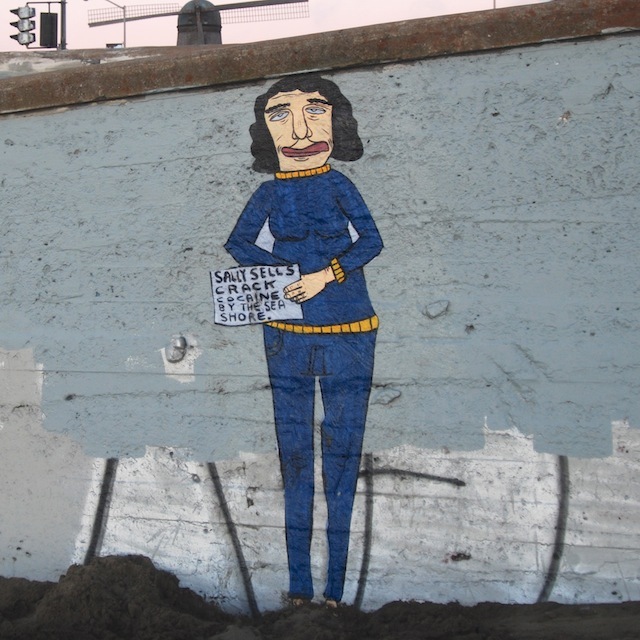 It’s back to school in a few days for the college-aged Vandalog bloggers. Caroline moving to New York City tomorrow, so say hello if you see her around. Shepard Fairey has a show of his printed works opening next month at The Public Trust, a gallery in Dallas. 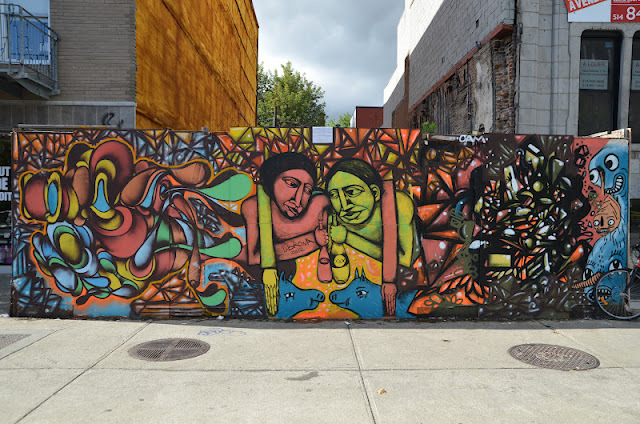 Although it frustrates me how Sever comes across as a graffiti writer who hates street art and also does street art, he actually makes some good work. Here’s a great piece from him about the Israeli-Palestinian conflict, as posted to his (I believe new) website. 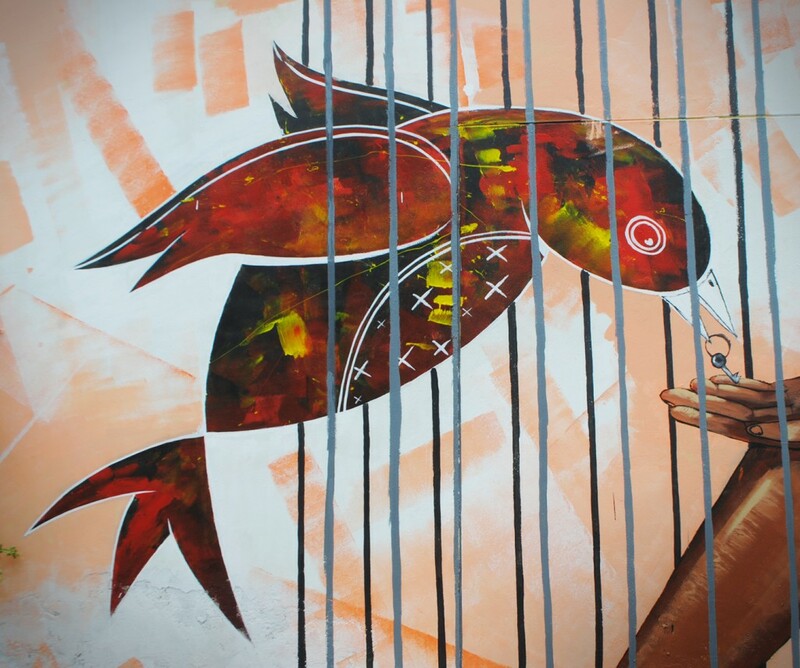 AEC of Interesni Kazki painted this mural for FAME Festival. This I’m pretty sure this or something similar has been done before, but I still like this Monopoly-themed street art in Chicago. 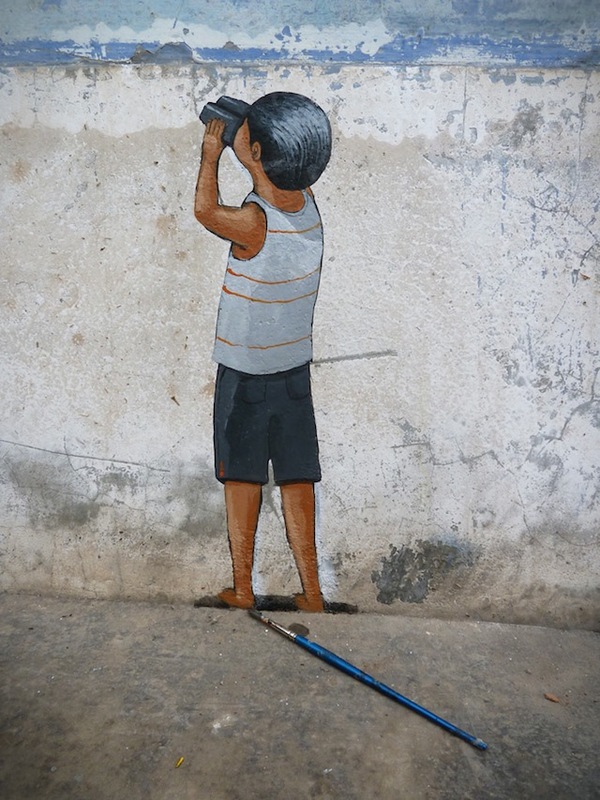 In Myanmar, graffiti seems to be a sign of improvement and more freedom for the country’s citizens, even if the work is still technically illegal. More people need to do this. Looks like a really fun way to waste cops’ time. This mural by A.Signl does a really fantastic job of highlighting some issues with being a consumer who also cares about human rights. LA’s Corey Helford Gallery will be showing Giles Walker’s spectacular The Last Supper installation. The show runs September 8th-22nd. Looking at this new piece from Jade and comparing it to just a year and a half ago, it’s impressive how far he’s come. New York’s Moustache Man has a show at the UCB Theatre next month about his experience drawing moustaches on advertisements around NYC and subsequently getting arrested. 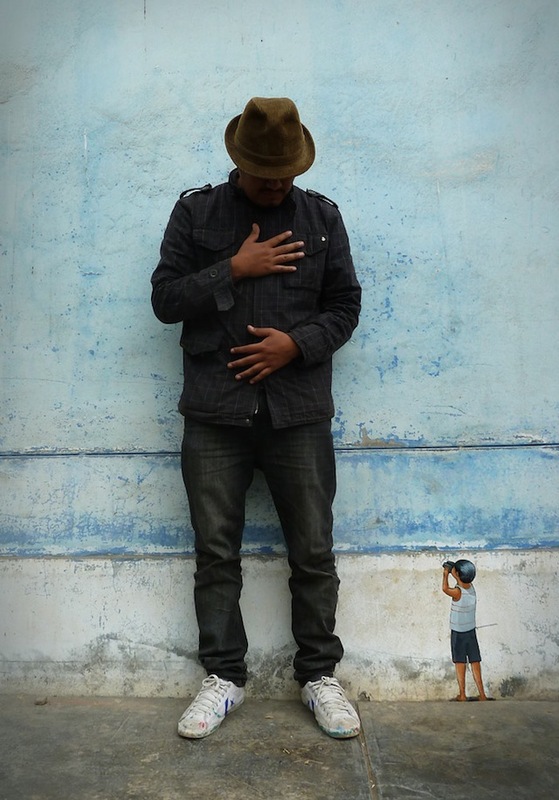 Aryz and Os Gemeos are collaborating on this mural in Lodz for Urban Forms Gallery. 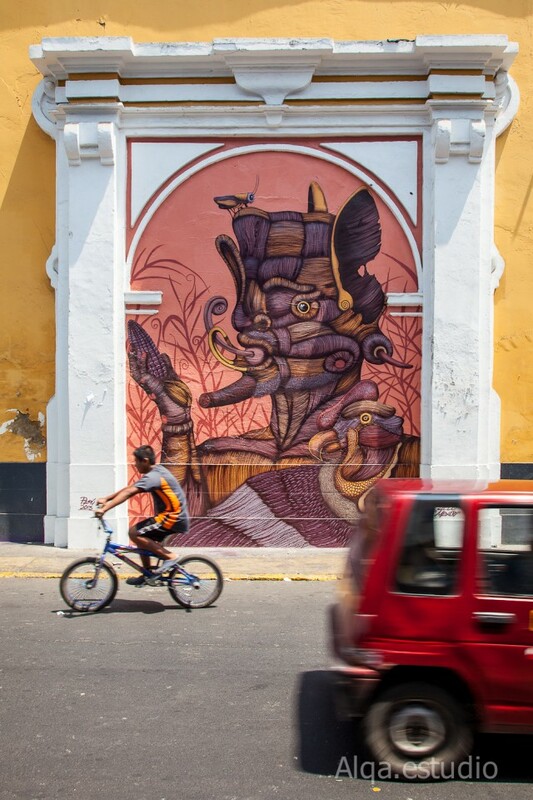 I am a big fan of South American street art, maybe it’s because it is so different to what I tend to see in London, or perhaps it’s just because it tends to be pretty bloody good. 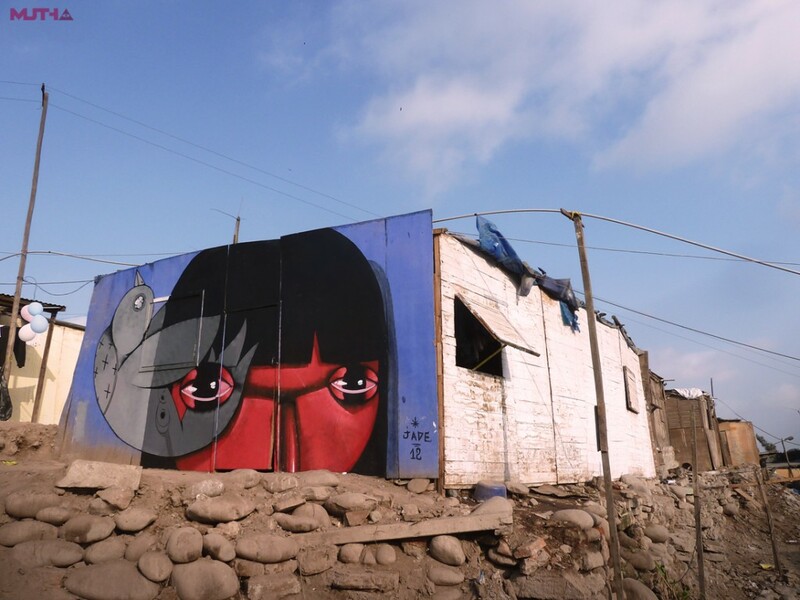 Peruvian artist Jade has been rather prolific over the last couple of months and here are a few of his walls, accompanied by a nice little video filmed in Ecuador. An update on the Kidult/Marc Jacobs situation: Marc Jacobs have turned a photo of the vandalism (or maybe commissioned tag) into a t-shirt that they are selling for $689, and at least one has sold already. Barry McGee’s show at Prism (his second, if you include his 2-man show with Phil Frost) has opened and is of course a must-see. 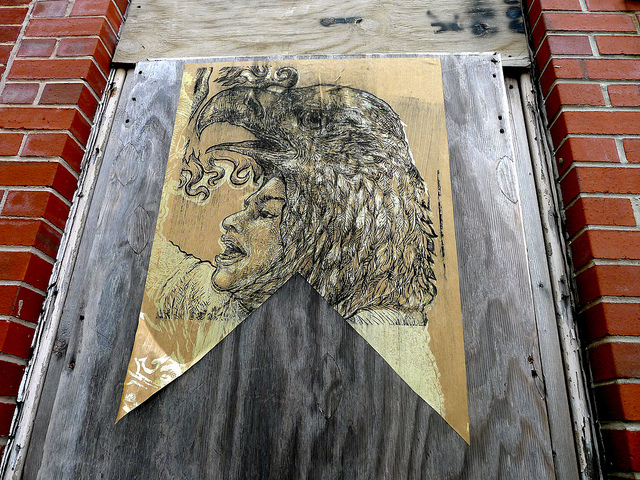 Okay yes, it’s another Shepard Fairey show with images we’ve seen before, but there are a few gems in there. Specifically, the painted printing plates. A Basquiat painting went for over $16 million at a Phillips de Pury auction. This piece by Phlegm is one of my favorites from him in a while. Tes One and Bask collaborated on this dinosaur-themed mural in Florida. Nychos and his crew paint some crazy stuff. 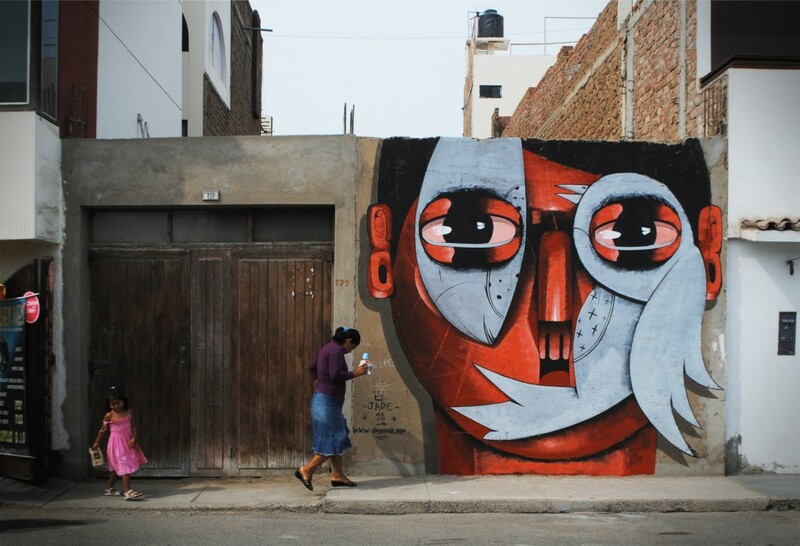 Afeura, a mural festival in Peru, is using Kickstarter to raise funds for the project. 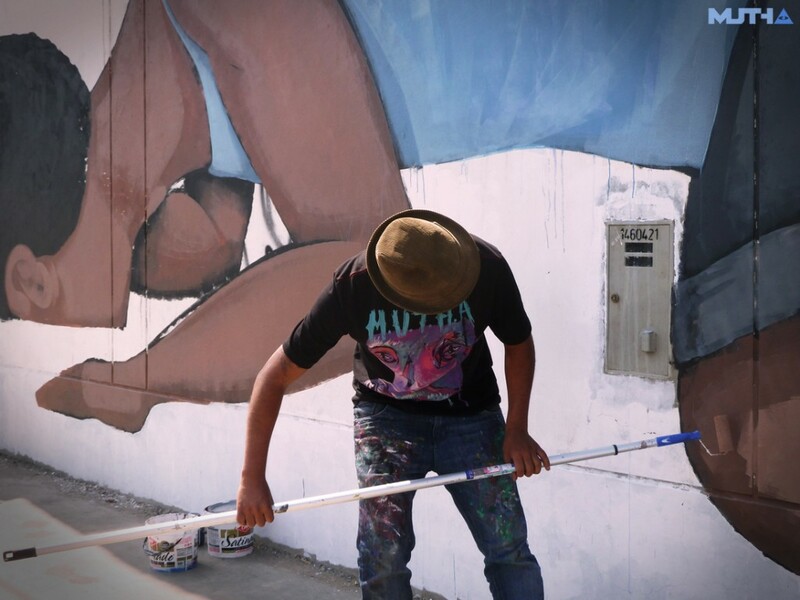 So far, Escif, Bastardilla, Desertor and Jade have signed on to painting at the festival. 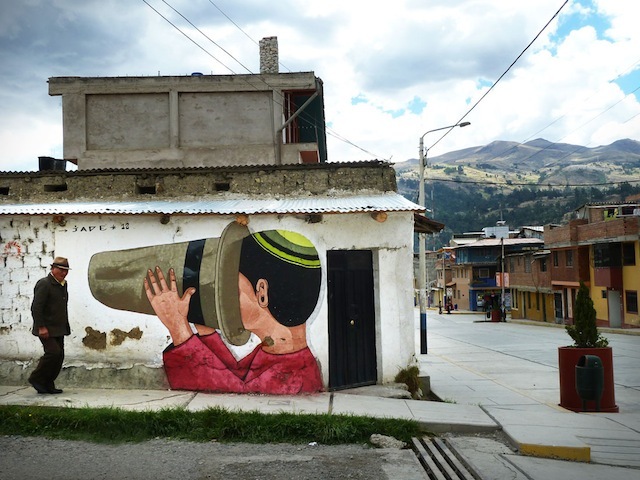 In a move of crass commercialism reminding us that perhaps street art is dead, some artist made a really beautiful mural for the sole purpose of releasing a print of the same image. Sonni (the guy who did that crazy boom box in Miami) has a show opening this month in New York. Faile released some new prints on their website this week (sold out already of course), and intend to do so much more often from now on. The DMV and 1984 crews pulled the crazy stunt of putting on a one-day illegal show in Paris on the day of the French elections. Depoe is part of a two-man show opening on Saturday evening in New York. He has preview photos here.